Raptor is always a big hit at all the parties she attends. We tailor our performances depending on the audience age ranges and always try to make sure your party is unforgettable as your guests will never forget their encounter with Raptor.We can offer the exciting experience of having Raptor come by for a meet and greet, She loves spending time playing games or on the dance floor and her highly trained ranger will be by her side to keep her in line and happily answer any questions. Want to make your event unforgettably ROARSOME! Need something to create a stir at your event? 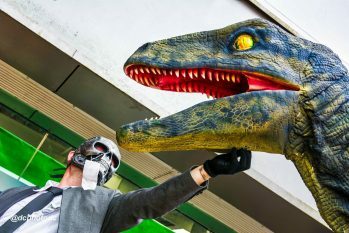 Nothing will create make your event stand out more than a roaring, fully interactive Velociraptor! We have done quite a few family day out locations and Comic-Cons in the past but we will come to any event! Just let us know what kind of plans you have! Need something to attract the eyes of your customers? 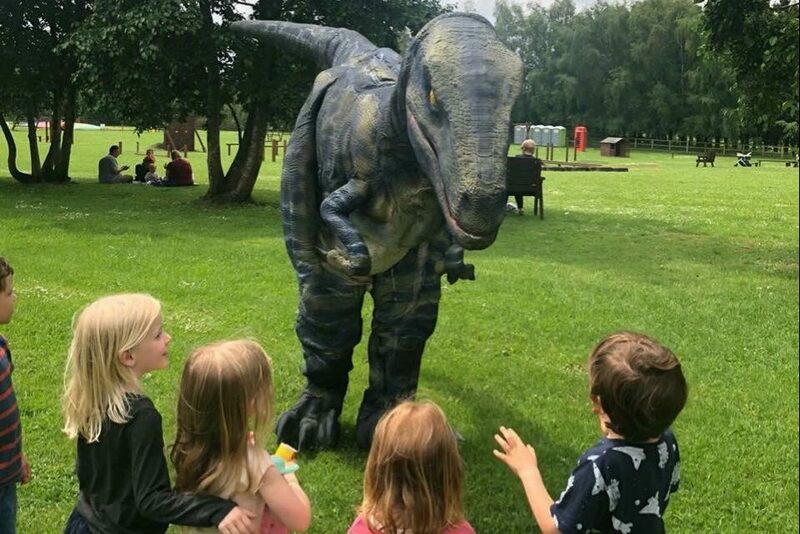 We can offer this unique opportunity of having Raptor appear wherever you need her to bring a stir for your product/brand. She certainly never fails to catch the eye and make a big impression! 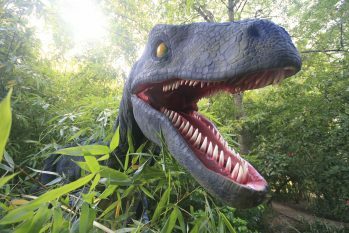 People never forget an encounter with Raptor!